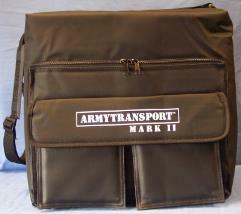 • The ARMYTRANSPORT Mark ll has the same dimensions, shape, pockets as the original ARMYTRANSPORT. 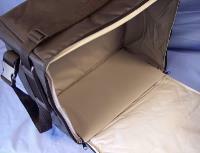 • Comes with a removable padded shoulder strap. • A large mesh back pocket. • SPECIAL NEW FEATURE : ONE SIDE OF CASE UNZIPS AROUND FOR EASY LOADING and REMOVAL of trays for people that prefer this style. • Always Sold EMPTY - You configure the case however you would like!